Travellers from all over the world who come visit Albufeira, the popular resort destination in central Algarve, Portugal, usually do not want to leave without a souvenir — or several, for that matter. Visiting an unknown place is always an adventure filled with new ways of seeing things, and what better way to keep the tradition close to us than doing a little shopping? 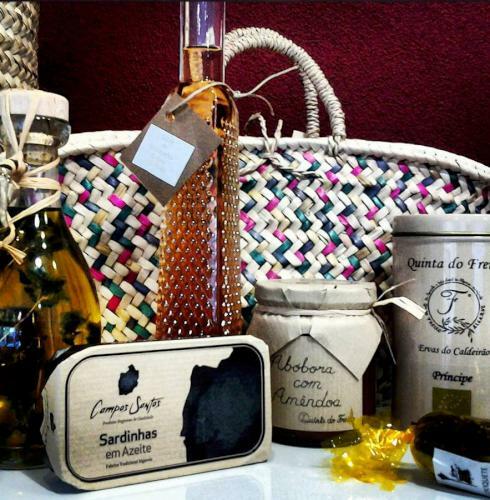 Whether you look for a unique, original handicraft object carrying a curious tradition along or something for you to wear or eat, Albufeira holds the solution for each taste and budget. 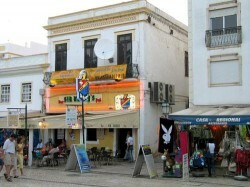 Shopping in Albufeira can take place in typical street markets or more modern stores, usually located in greater number in the city centre. After a wonderful day enjoying the lovely beaches in Albufeira and experiencing some of the best activities you could do with your family, you can always go for a little shopping and take a few souvenirs with you, a reminder of an outstanding vacation with your family in the Algarve region. The downtown square, Largo Eng.º Duarte Pacheco, is the centre of attention during summer season, as it becomes a mandatory rendezvous for locals and tourists who enjoy live performances, small fairs, art exhibitions and other cultural activities. The Largo Eng.º Duarte Pacheco and its adjacent narrow streets — Rua Cândido dos Reis, Rua de Sao Gonçalo de Lagos and Av. 25 de Abril — as well as the Cais Herculano and the Fisherman’s Square, are jam-packed with street stores with everything you would want, from clothing to footwear, from accessories to handicraft and embroidery works. Here you can also pair up a day of shopping in Albufeira with a few relaxation moments at the outdoor terraces belonging to the several cafes and restaurants scattered through these cobblestoned streets. 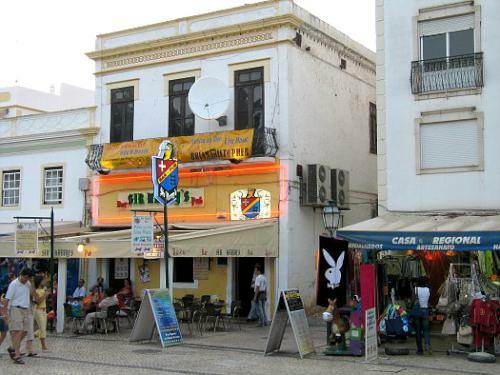 The downtown in Albufeira, particularly Rua 5 de Outubro and Avenida Da Liberdade, also features a few more sophisticated stores that might appeal to the more refined and wealthy, with jewellery stores and exquisite fashion houses. Montechoro, in Areias de Sao Joao, is also a privileged place to go shopping, where you can find regional products, elegant boutiques, and shoe stores. 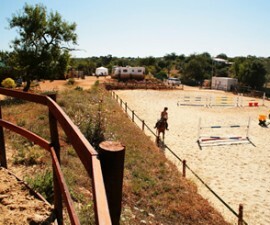 When it comes to street markets and fairs, Albufeira has definitely what it takes to be successful and plentiful. Each parish in Albufeira holds a weekly or even daily market with fresh produce and day-to-day goods, such as fruit, vegetables, meat, fish, and also regional sweets and handicraft. You can find one of these street markets all over Albufeira, usually from 6 or 7 AM until early afternoon, because it is when the produce is fresher and is not as hot as the rest of the day. Street markets are certainly mandatory places to visit and a wonderful opportunity to meet the locals and get to know the practises and traditions of such parishes. There are also other street markets which are bigger and carry other products in addition to local, fresh produce. These street markets are usually hold one or two times a month and attract a lot of people looking for fabrics, embroidery works, porcelain, footwear, and other objects. Albufeira, Guia, Paderne and Ferreiras hold these street fairs at different times in a month and are always filled with people who already know how to bargain with the sellers and buy things at a lower price. Thrift fairs are another event that normally gathers a number of street sellers with magnificent heirlooms in their hands — and if you are lucky — at very reasonable prices. 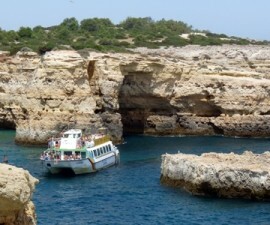 There are several happening every week and month through different parishes in Albufeira. 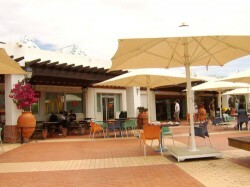 AlgarveShopping is a big mall about 6 km outside Albufeira, and although relatively close to town, it is not that easily reachable. We suggest you take a taxi, which will cost you about € 8 for a 10/15-minute ride. AlgarveShopping has, of course, everything you can think of: from electrical appliances to clothing, from toys to decorative objects, from jewellery to cosmetics, from books to everyday products. Amongst the 100+ stores, one can find Fnac, Zara, Pepe Jeans, Swarovski, Lanidor, H&M, Sephora, and several other stores that provide all kinds of services, such as a laundry, a hairdresser, banks, travel agencies, food court, and much more. This is also a great place to shop for food and other products if you are staying at a self-catering apartment in Albufeira. There is a Continente inside the AlgarveShopping that will certainly respond to all your shopping needs.